A young Ghanaian rising social entrepreneur is changing the face of transport in Ghana through her women-led Ghana Bamboo Bike project. Unemployment is one of the significant challenges facing the youth in Ghana. Earnings are low, working conditions are unsafe, and there is little or no access to social protection. Young people are driven to the streets without access to skills or educational opportunities. The Ghana Bamboo Bike project creates jobs – especially for women – through the building of high-quality, handcrafted, bamboo bicycles from local raw materials. But whilst many bikes are now deemed ‘eco-friendly’ and other companies jump on the bamboo bandwagon, Bernice Dapaah steps things up a notch. Now a World Bamboo Ambassador, her bikes are made from 100 percent natural bamboo and are totally recyclable. For each bamboo plant cut, ten more are rooted. 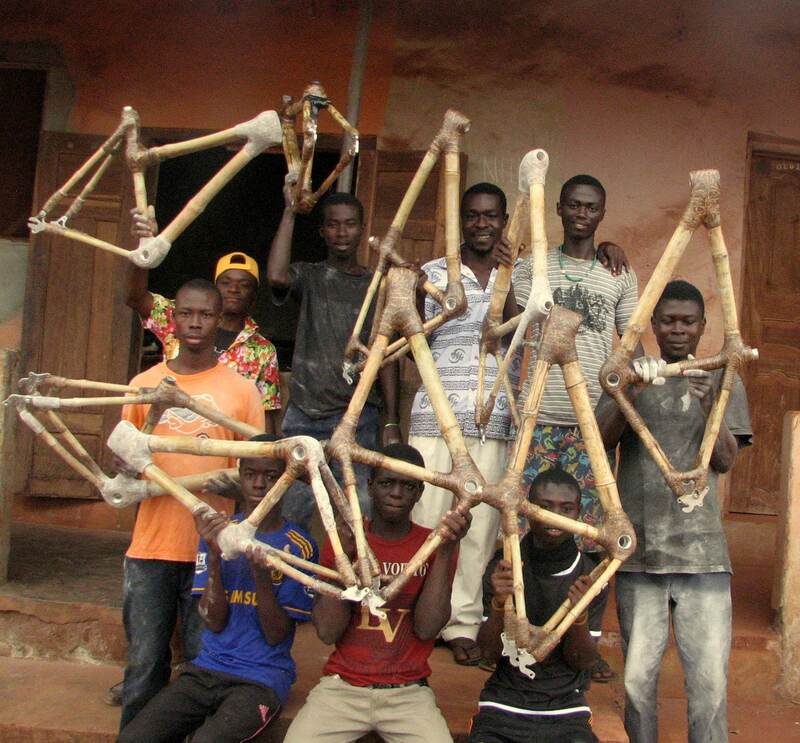 According to Dapaah, the Ghana Bamboo Bikes Initiative has created employment opportunities for 35 people “whose incomes have lifted them out of poverty and allowed them to invest in a wide range of social benefits such as better nutrition and education”. The bikes have been such an export success that they can now be seen all around the world. The potential opportunity to export to Europe and the United States could further contribute to climate change mitigation and local economic development in Ghana. Future O’Clock: 18 September is World Bamboo Day, which celebrates increase in the awareness of bamboo globally. Tags: Community, Employment, Environment, Gender, Organics, Plants, Recycling, Training, Women, Youth.